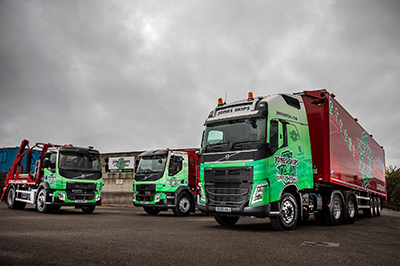 Other services include Waste Disposal Services, Contaminated Waste Disposal Services, Special Waste Disposal Services, Waste Transfer Station Facilities, Bulk Haulage Services, Tipper Lorry Hire, Road Sweeper Hire and Recycling Services in Wolverhampton and around the West Midlands. Jones Skips are experts in Special Waste Removal - Asbestos Waste Removal, Tyre Removal, Contaminated Soil Removal and other Special Waste Removal. Assistance and advice is always available regarding prior notification requirements for Special Waste Removal due to special regulations. Jones Skips are fully insured and licensed by The Environment Agency for Waste Removal and Waste Transfer Facilities. The Licensed Waste Transfer facility enables the Tipping of Waste directly to our own specialist Waste Transfer Site in Wolverhampton. Every member of staff is employed directly by the company to ensure that every customer is looked after in a professional and expert manner. For all of your Skip Hire Solutions, Recycling Requirements, Waste Disposal Requirements and Waste Management Solutions visit the contact page and - call Jones Skips today for your FREE NO OBLIGATION QUOTATION! You may, if you prefer, request a call back by using or Enquiry Form Page!